Cutting across 3,988 miles of China, it is the world’s longest river that starts and finishes in the same country. It really is the most significant river in China, offering a fascinating history along with its vital practical assets. 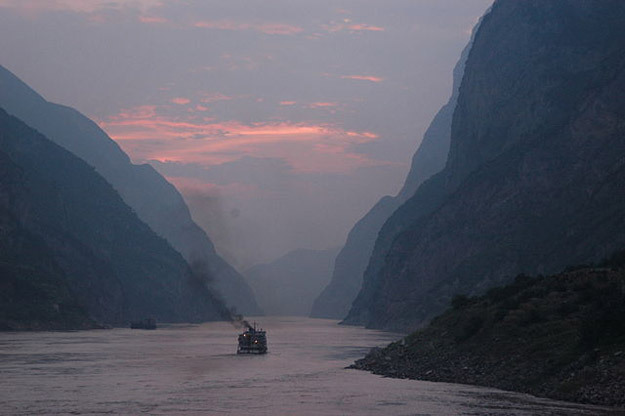 The Yangtze River has been a crucial part of China’s development for thousands of years, providing a means of transport, an economic boost and an aid in the progress of sustainable farming. Life develops around any source of water; you can date the earliest signs of life along the Yangtze back over 27,000 years. Between 770-476 BC, the Ba and Shu tribes lived in the middle reaches of the river during the spring and autumn seasons. During the Han Dynasty, around 256 BC, the Yangtze River was an integral part of the economy and has been the backbone of transporting goods across China for over 2,000 years. Small boats called Sampan used the waterway, before the first steamboat named Jardine made her maiden voyage in 1835. 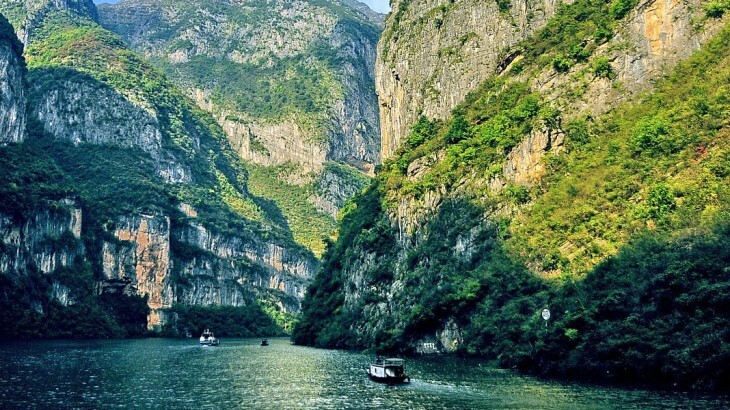 The Yangtze River has an extremely diverse ecosystem and is home to some of the world’s most extraordinary animals. You could be lucky enough to catch a glimpse of these animals while enjoying a cruise along the Yangtze River, but for some, that isn’t quite close enough. Back in 2004 Slovenian marathon swimmer Martin Strel swam 4,003 km of the Chinese Yangtze River in 51 days. Martin is known as the ‘Big River Man’, a Guinness World Record marathon swimmer and the only man in history to swim the five greatest rivers on the planet: the Amazon, Yangtze, Parana, Mississippi and Danube. His son, Borut, was also recognised as an international swimmer, manages his father’s swimming expeditions with Strel Swimming Adventures. These giant amphibians are the biggest on earth and are some of the most extraordinary animals you will come across on a Yangtze River cruise. 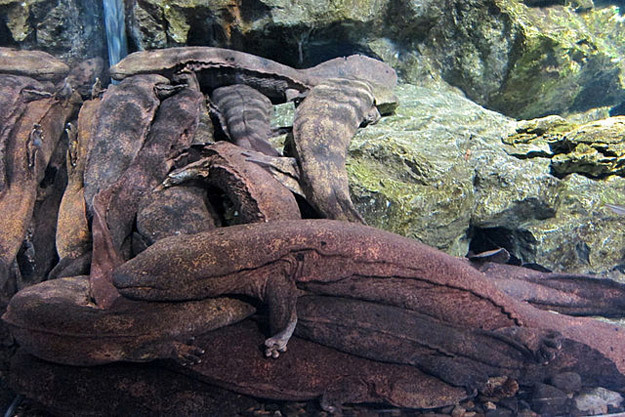 With some reaching 1.8 metres in length, the Chinese giant salamanders are one of the oddest looking animals along the river. They can be found in dark places, like dim rocky mountain streams along the river. Sadly, they have been hunted to such an extent that they are extremely rare, after being used for the traditional medicine purposes. 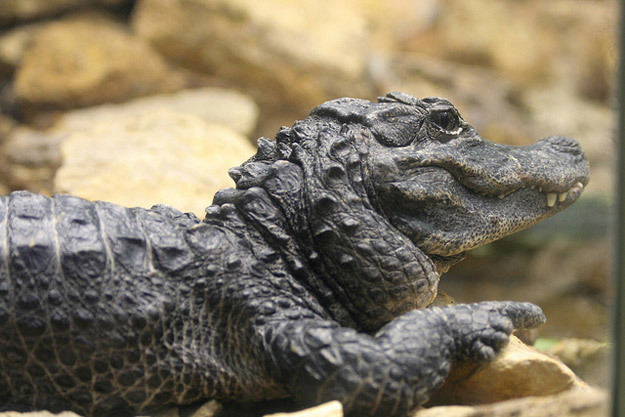 The only known species of alligator that is native to China, the Chinese alligator can be found exclusively in the Yangtze River. Though much smaller than their North American cousins, these alligators usually reach around 1.5 metres in length and can weigh up to 45 kilograms. Martin and his crew did also come across the river alligators, but that didn’t put them off. Along with the giant salamander, these alligators are protected in order to save the remaining 200 individuals that live in the wild. Pangolins have been around for over 80 million years. The little anteater-like creature has eight different species, all deriving from the same family, Manidae. Four of the species are Asian, while the other four are African. 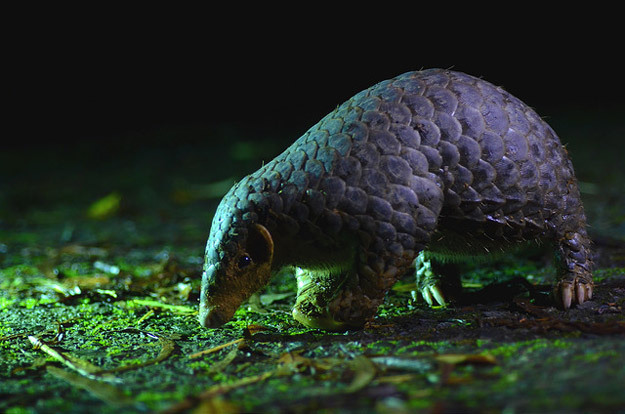 In Asia, you can find the Chinese, Malayan, Indian and Palawan pangolin. Though they resemble an anteater, they are actually more closely related to carnivores like wolves, bears and hyenas. When fully extended, the tongue of a pangolin can stretch to 40 cm long, making it longer than its body in some instances. They are also the only mammal on earth to be covered in scales; these scales are made up of the same material as our fingernails, rhino horns and bird talons. To defend themselves, the pangolin rolls up into a ball, shielding itself with its tough scales. This defence leaves its main wild predators, like leopards, confused about what to do with it. 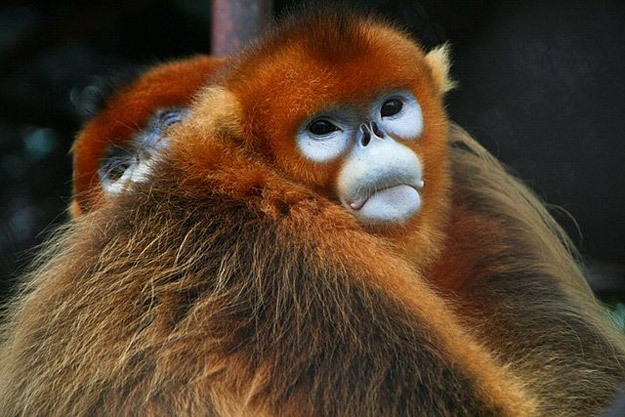 Regarded as one of the rarest and most precious animals left in the wild, the golden monkey is only found in China. The golden monkey’s stubbed nose is its most iconic feature, but there is a reason for its size. Golden monkeys live in bitterly cold places high up in forests in the Chinese mountains, so a long nose would be difficult to keep warm and may even succumb to frostbite. These features also make them an ‘Old World monkey’. An Old World monkey has nostrils that, like ours, are close together, have similar hands and fingernails and thick skin on their tails that are used for sitting. They also have a very varied diet which changes with the seasons. During the summer they will eat leaves and insects, in spring they gorge on seeds, buds and leaves, while in autumn they tend to eat the remaining fruits, before tucking into the bark on the trees. However, all year they will eat lichen, which is produced on trees when fungi and algae combine. There is almost no doubt that the snow leopard is the most elusive cat on the planet. Their population is spread thinly across central Asia, spanning 12 countries. 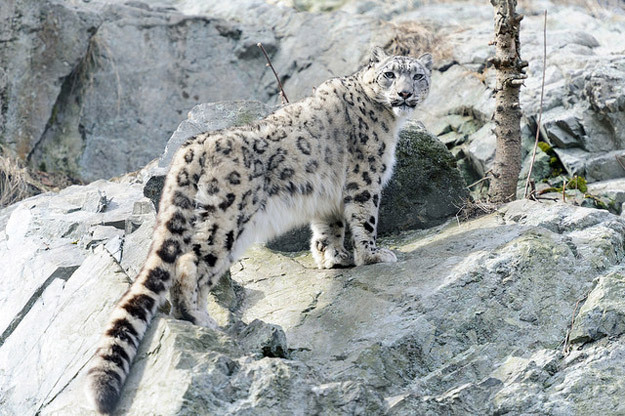 The snow leopard is most at home living among high, rugged mountain landscapes. Their habitat means that they have to eat what they can catch, whatever it is. Leopards can catch and kill prey three times their own weight, but sadly, despite their efforts they are still being poached to an irreversible extent. With large, powerful chest muscles, the snow leopard’s build means it can scale steep slopes easily and its hind legs allow it to leap six times the length of its body. 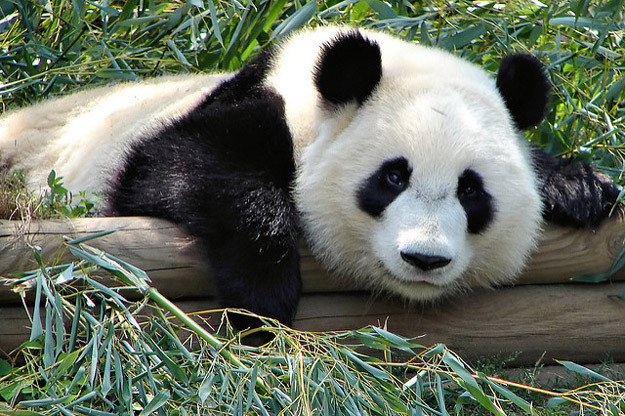 The most iconic animal in China, the giant panda is one of the world’s most famous animals. Adored by millions for its large, fluffy looking body, the panda is a symbol of China. The peaceful creature is known for its clumsy nature and has been the logo for the WWF since it was founded, way back in 1961. Pandas are the rarest of the bear species, mostly found in bamboo forests in the highest reaches of western China. Each day, one panda will eat anything from 26 to 84 pounds of bamboo. A protruding wrist bone acts like a thumb when they grip trees or bamboo, making it an extremely effective evolutionary trait. 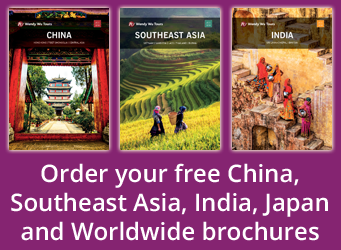 Book a holiday to China with a cruise on the Yangtze River with the UK’s leading China Experts, Wendy Wu Tours. Our fully inclusive, escorted tours of China visit all the major sights of this amazing country for a truly unforgettable holiday. China cruise, nature, pandas. permalink.